In March 1940, Kingswood girls were invited to party at Cranbook School’s senior cabin. (George Booth had given the boys the gift of the senior cabin in December 1927.) While the girls had known about the cabin, their visit really brought home the fact that they did not have one to enjoy for themselves. 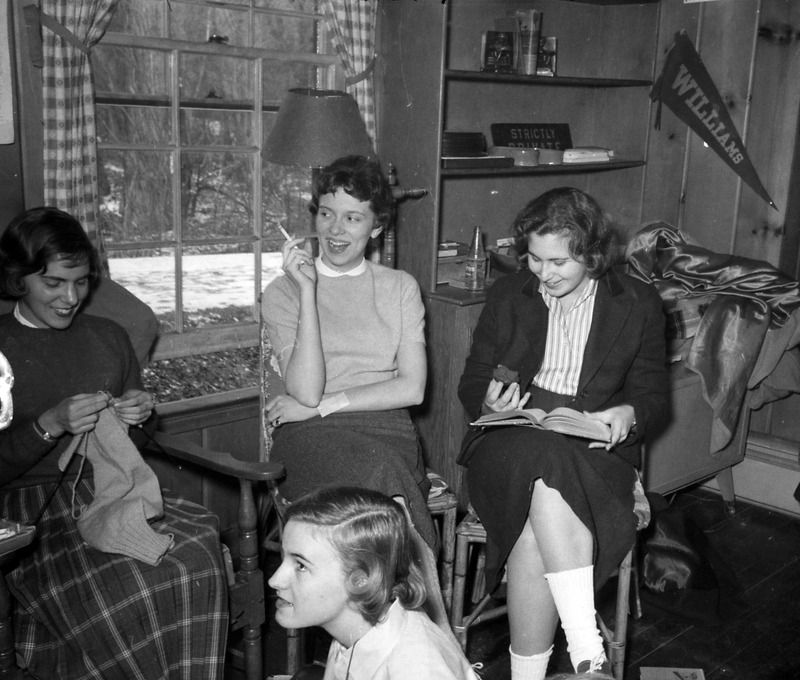 Spearheaded by then sophomore, Mary Adie ‘42, the Kingswood girls began to push for their own cabin. Henry Scripps Booth supported the idea and was the architect. The cabin had an open floor plan with a fireplace, bathroom, and a small kitchenette. Bench seating lined the window wall that looked out over the brook. The Cranbrook Foundation paid for the structure which cost $2392. The Kingswood School Board of Directors felt that student involvement would help stimulate class and school spirit, and that the cabin would provide an informal respite from the rigors of the school day. The girls raised money and paid for furnishings themselves (from Sears), and even made curtains to decorate the space. Each successive senior class left their mark by adding something to the décor. Mr. Wentz made a wrought iron screen for the fireplace which featured the Kingswood seal. Mrs. Dow contributed a combination radio-Victrola which was very popular as it played twelve records simultaneously! And eventually, the girls even got a telephone. Kingswood Seniors hanging out, Feb 1957. Notice the décor. The cabin was used for a variety of leisure activities. Bridge club was held on Wednesdays, which was the only time that girls were allowed to smoke on campus. Auger’s smoking rule was that students could smoke cigarettes at the cabin, but only on Wednesdays, when faculty member Josephine Waldo was there to supervise. (She, by the way, was a smoker herself). The catch was that if Auger found out that the girls smoked on any other day of the week, she would close the cabin. By far, one of the best parts was that the girls could drink cokes – by the case full! 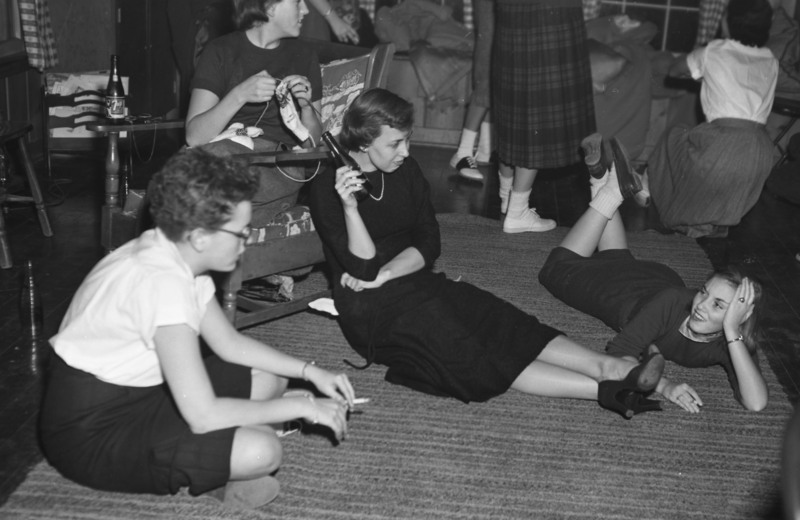 During exam weeks, girls took study breaks at the cabin and revived themselves by “smoking and coking.” In 1964, smoking at the cabin ended when Michigan State law outlawed cigarette smoking for minors under the age of eighteen. Smoking and Coking, Dec 1952. Courtesy Cranbrook Archives. As time went on, various updates and changes were made to the cabin. However, by 1966, the foundation of the building had begun to erode. 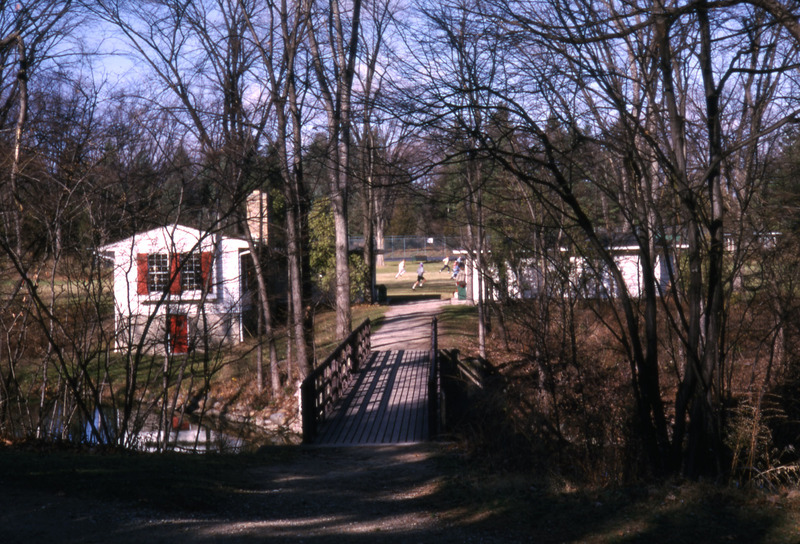 In the early 1980s, the cabin was only used as a restroom facility for Kingswood School outdoor events, end of year parties for the Girls Middle School field hockey team, and by Academy of Art students as a space to build the models for the Design in America: The Cranbrook Vision 1925-1950 exhibition. The cabin faced increased neglect. There was not enough interest or funds to maintain or repair it and it in the mid 1990s it was demolished. The boys’ Senior Cabin still stands today.